Translated into thirteen languages, Drawing on the Right Side of the Brain is the world's most widely used drawing-instruction guide. People from just about every walk of life—artists, students, corporate executives, architects, real estate agents, designers, engineers—have applied its revolutionary approach to problem solving. 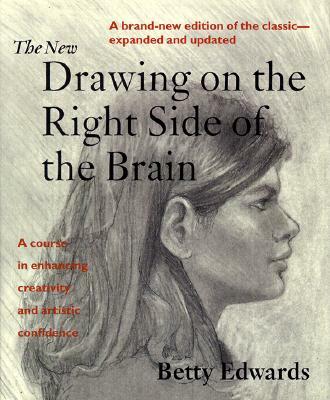 The Los Angeles Times said it best: Drawing on the Right Side of the Brain is "not only a book about drawing, it is a book about living. This brilliant approach to the teaching of drawing . . . should not be dismissed as a mere text. It emancipates." Betty Edwards is professor emeritus of art at California State University in Long Beach, California. She is the author of The New Drawing on the Right Side of the, the world's most widely used drawing instructional, which has been translated into thirteen foreign languages with U.S. sales of almost three million copies. She speaks regularly at universities, art schools, and companies, including the Walt Disney Corporation and the Apple Corporation.